Verbal reasoning tests are included in the pre-selection phase of the EU exams. 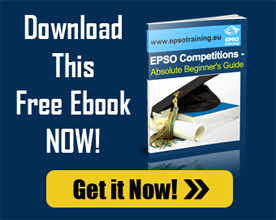 Since 2011, EPSO has requested candidates to take reasoning tests in Language 1. For the specialist, verbal reasoning may also be required in the Assessment Centre. Verbal reasoning test is composed of short paragraphs with four options. Candidates need only to choose one accurate answer that fully matches the statements in the original text. Some options may contain false statements or inadequate information; therefore, the candidate should analyse very well which among the choices is the best and correct answer.